paws4ewe | Dedicated to developing a harmonious working partnership for you and your herding dog. 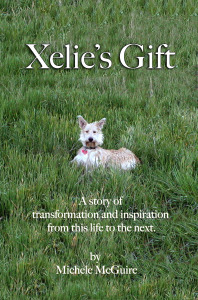 Dedicated to developing a harmonious working partnership for you and your herding dog. Wow! 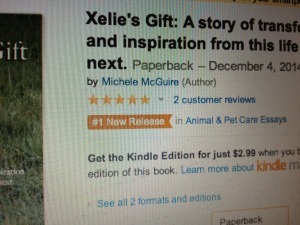 “Xelie’s Gift” is a #1 New Release at Amazon! 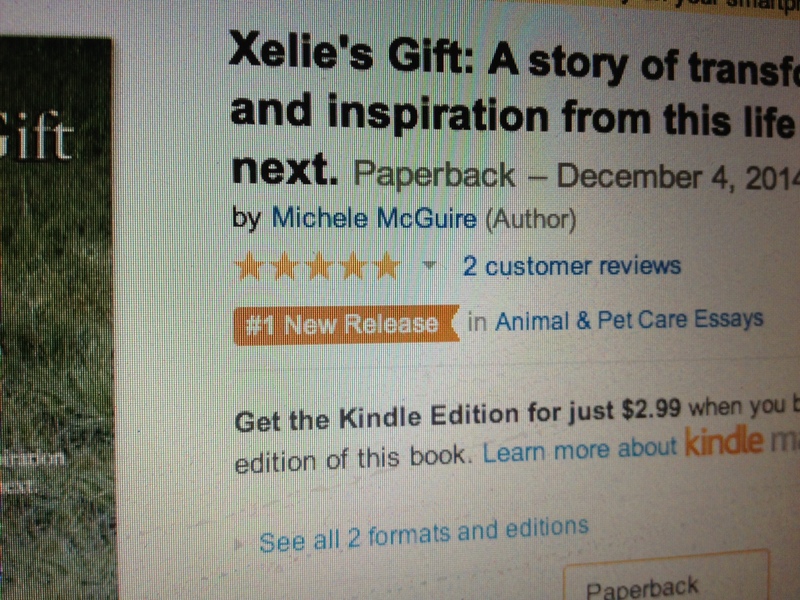 Release in the category of Animal & Pet Care Essays!!! If you like the book, please help spread the word! And you thought being goal oriented was a good thing? How many times have you heard a handler at a trial or in training ask their dog to lie down? And then again, Lie Down! And then louder, LIE DOWN!!! Until finally red-faced and booming they scream at the top of their lungs LIIIIEEE DOOOOOWWWNNN!! Well, lets just say it’s no rare occurrence and happens more often than many handlers or their dogs would care to admit. But how did they get there? No, there’s no new virus that causes sudden deafness in dogs. Although for some handlers, a disease such as this might almost be a relief. When a dog’s listening skills are less than stellar, it’s most often the result of inconsistency in training. If a handler allows their dog to ignore their request on some occasions, then demands compliance at other times, how does the dog know when it should or should not listen? First question, “Was my dog ever trained properly?” That is to say, was it trained to execute your request the first time asked? If the answer is yes, then perhaps you’ve managed to mysteriously “untrain” your dog without even being aware. If this is the case, the most common root of the problem among my clients is that they’ve become “goal oriented”, rather than being in the moment with their dog, monitoring whether or not the dog is carrying out their request. What do I mean? 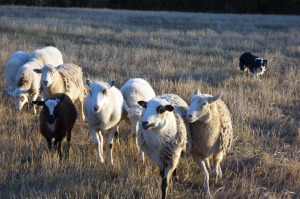 For instance, let’s take Joe Handler… He really wants to get those sheep through a panel. He’s asked the dog to flank, walk-up, lie down, flank, and stop again. The dog flanks once and walks up when asked to stop, nothing else. But praise the lord, that packet of sheep marched right through those panels! Yippeee, Joe’s ecstatic — and blind to the fact the dog didn’t execute even half of what he asked. Joe reached his goal, the sheep made the obstacle! But in the process he gave his seal of approval to his disobedient dog. John just trained his dog not to listen; he just trained deafness. Yes, ultimately we all need to learn to handle through a course, but not at the cost of misleading the dog. It cannot be okay for the dog to ignore you at one moment, and then be expected to be a perfect listener the next. The goal cannot be just the obstacle on the course. The true goal is the dog. And how well it’s trained, is how reliable it will become. To be fair to our working partners, we need to be consistent. To correct or punish a dog for disobedience if we haven’t done our part to be clear about our expectations, is simply not right. So the next time you feel your blood pressure rising as you ask two or three times for a simple stop from your dog, stop and ask yourself “Have I been consistent in my training?” If not, you owe your dog an apology. And you owe it to him to embrace consistency as you work together in the future. Hey, I want to start my puppy herding! And guess what? The majority of these enthusiastic new parents are asking the same question. When can they start training their youngster? 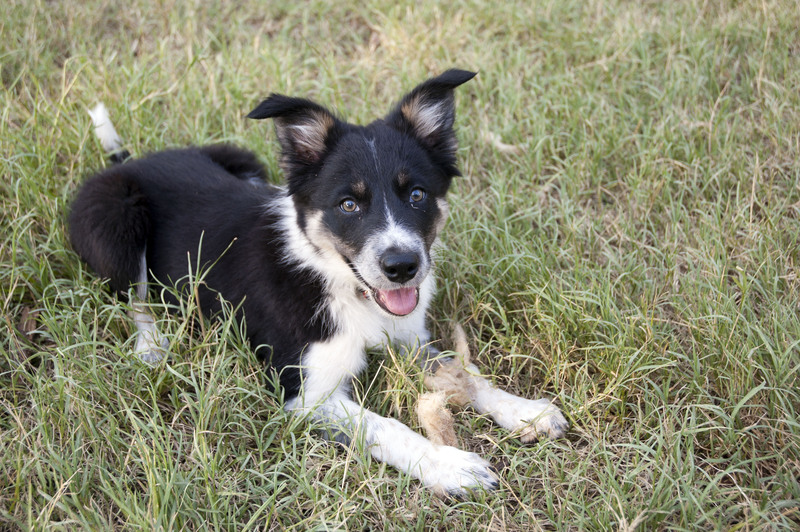 Just last week I received an email from someone new to herding who had begun training her twelve week old puppy with an unnamed instructor. She was concerned about the amount of pressure being placed on her young dog. And rightfully so! God help us, twelve weeks?! The puppy’s body isn’t even fully coordinated, not to mention the synapses in it’s brain! Not to judge, we’ve all been there… We’ve gotten a new pup, we’re excited about their prospects. We can’t wait to get started! But we must. We wouldn’t expect our two-year old child to start college, get a degree in finance and begin work on Wall Street, would we? No that’s all too complex, especially for a toddler. There’s not even a question. It’s not all that different to ask a young pup to traverse the slippery slopes of working livestock. Puppy brains are not yet fully developed — they need time to mature, both physically and psychologically. Yes, the pup may be drawn to sheep, yes, it may be enthusiastic but, believe me, the young dog is in no way ready for what lies ahead. 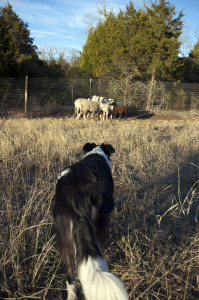 We are dedicated to training all breeds of herding dogs in a fair manner with strong leadership. We strive not only to develop and nurture the handler’s full understanding of the concepts underlying successful herding, but are also devoted to developing each dog’s talents to its fullest.